Already supported by Aeroplane, The Magician, Punks Jump Up, Villa, Future Classic DJs, Eric Duncan (Rub-N-Tug, Still Going) , Mighty Mouse, Justin Faust, C90s, Nelue, Anoraak, Mustang, Jaymo & Andy George... Buy it now on Beatport (Digital): http://www.beatport.com/release/cairo/440955 Watch the video: http://www.youtube.com/watch?v=jooGlIAvDRE KAMP! is a Polish electronic pop trio formed in 2008 in Lodz, Poland. Their sound is often described as melodic synth-pop influenced by 80's new wave, 70's krautrock and 90's french house genres. With three singles under their belts they've been playing in and out of Poland (USA, UK, France, Germany), sharing stages with Caribou, Hurts, Deadmau5, Robyn, Goldfrapp, M83, White Lies, Moderat, Black Lips or Joakim & the Disco. They are currently working on a full album, but in the meantime they gave us "Cairo". 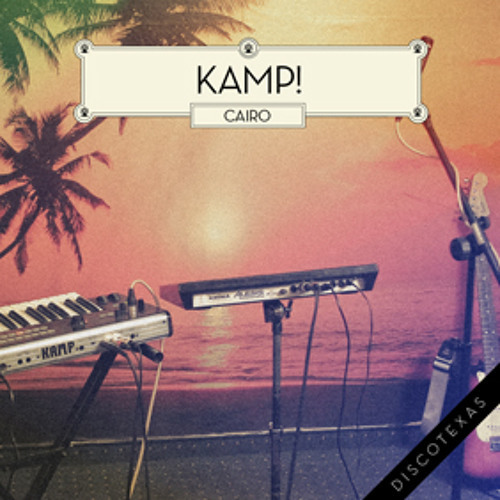 "Cairo" is KAMP! 's fourth releae. This EP includes the original song plus remixes by JBAG, Moullinex and Social Disco Club. Trust us: these tracks will hit the dance floors all over the world in no time! Awesome breakdown! Would be great to bust into this in a set.